Add Curb Appeal to Your Home with Mahogany Entry Doors from Palm Aluminum! There are many ways to increase the curb appeal of a home, and some of these improvements can also be financially beneficial to the homeowner. One example is mahogany entry doors for Boca Raton, Coconut Creek, and Delray Beach homes. These doors not only look great, but also serve to offer enhanced home security with the construction and durability of high-quality wood products. So why take unnecessary chances with a generic entry door that offers minimal appeal? Rely on Palm Aluminum for the mahogany entry doors your home and family deserves. Mahogany Entry Doors - The Quality You Want at Cost-Effective Prices! At Palm Aluminum, our experienced staff of professionals understands quality products. 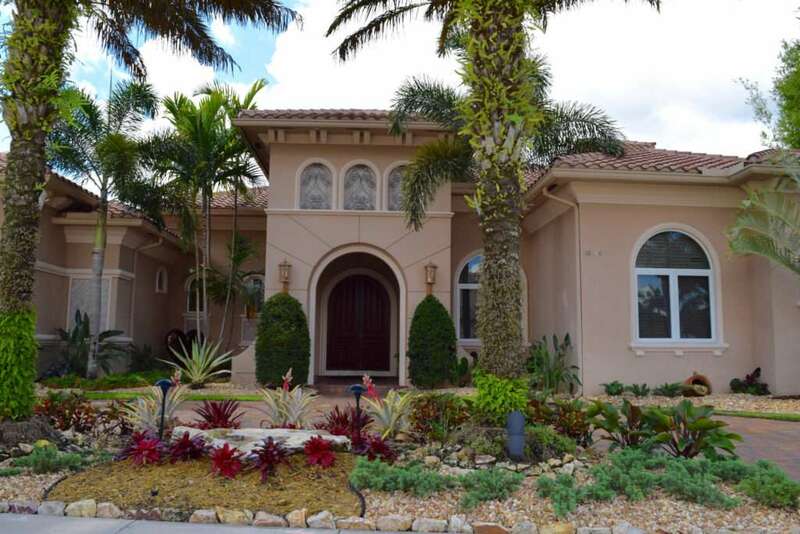 This is why we offer only the best mahogany entry doors, manufactured for homes in Boca Raton, Coconut Creek, Delray Beach, and surrounding cities. Mahogany entry doors make a grand statement to anyone entering your home, while also offering added benefits from construction not found in lesser-quality, inexpensive doors. Speak with one of our knowledgeable team members today about the different styles and prices we offer, so we can get started on installing your new entry door as soon as possible. Invest in Mahogany Entry Doors for the Future of Your Home! Among the types of wood used for entry doors, mahogany is frequently chosen for its color, grain, and durability. Mahogany entry doors for Boca Raton, Coconut Creek, and the Delray Beach area provide the richness homeowners want, with all the characteristics that make it desirable for construction needs. With a call to Palm Aluminum, you can add something special to your home that you'll benefit from for many years to come.